Founded around 1750 it was one of the oldest established distilleries in Scotland until it was closed in 1994 its now sadly a demolished distillery after it was dismantled in 1997 then what was left was destroyed by fire in 2004. Nose: A little oily to begin with but leave for a few minutes to open up or add a small drop of water at room temperature, As it opens this becomes a classic old style Littlemill with lots of cream and lemony notes with warm buttered brown bread toast, some faint eucalyptus with hot buttered sweetcorn. Palate: Much bigger than the nose suggests but very rich and fruity. Some brambles with lychees and hints of fresh basil, some spice coriander and dry vermouth. This dram coats the whole palate with an abundance of flavours. Finish: The finish goes on and on delivering more of the nose and palate with the rich oily feel and some waxy fruitiness. Quite remarkable that this is a lowland its feeling much bigger than that. Our second dram on the Jolly Jaunt to Annandale distillery was from another closed distillery (sensing a theme?). 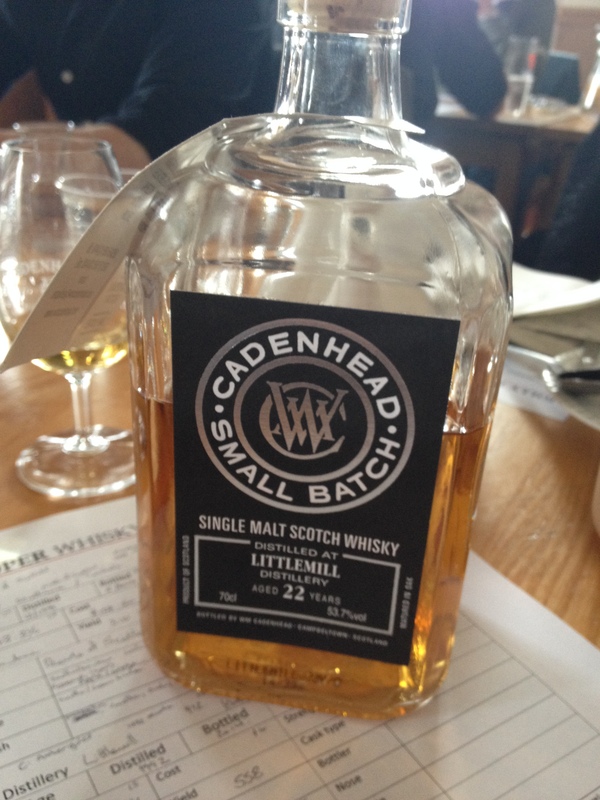 This time from one of the few former Lowland distilleries operating in recent times. 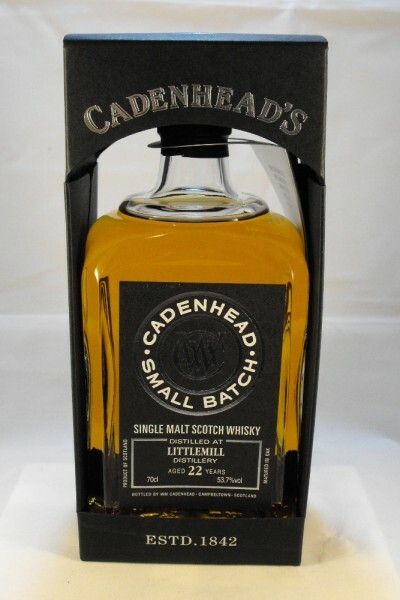 Triple-distilled at Littlemill in 1992 shortly before it closed, this was matured for 22 years and bottled as part of the Cadenhead small batch range. A complex dram with equal measures of fruity spirit character and herbal aged wood. Drinkable at bottling strength, this didn’t need water but probably would benefit from a drop to tease out more of those complicated triple-distilled lowland Littlemill flavours that are in here.